Manhattan. Gotham. The Big Apple. New York's influence has stretched far beyond its city limits and into every corner of finance, art, and popular culture around the world. Now it finally has a biography big enough to match. 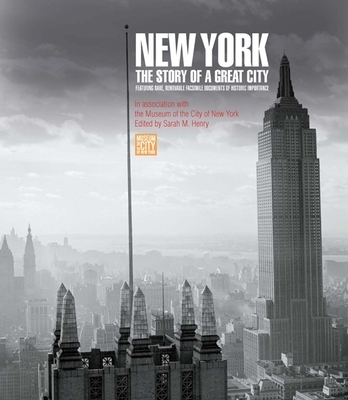 Created in collaboration with the Museum of the City of New York, this hands-on history concisely and entertainingly traces the city's evolution from pristine wilderness to great metropolis. Organized both thematically and chronologically, the book brings the city's incredible story to life through approximately 20 facsimile documents--diary extracts, immigration papers, maps, newspaper clippings, playbills, letters, and posters highlighting the vibrant life of the city that never sleeps. The Museum of the City of New York has one of the largest collections and archives of material covering the history of the city, with over 1.5 million objects and images."